Welcome to Zero Edge - Melbourne’s premier destination for affordable glass fence installation. 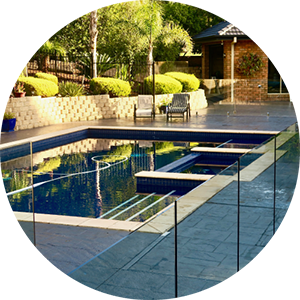 We design, supply and install minimally invasive frameless glass pool fencing around the greater Melbourne area. 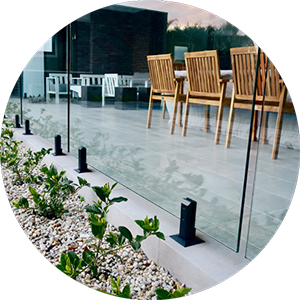 Our glass pool fences are made from of the highest quality toughened glass, using Duplex 2205 Stainless Steel spigots. This ensures durability and minimal maintenance. All of our work adheres to Australian Building Codes. We even help with acquiring Appropriate building permits. 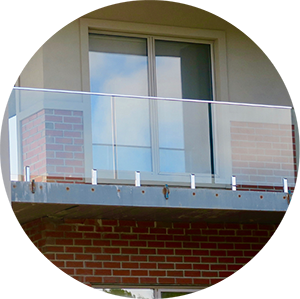 Our frameless glass balustrading solutions are a perfect modern way to enhance the safety of your staircase, balcony or veranda, without compromising on design. Talk to us about our custom glass balustrading that will keep your space looking light and open. We supply Melbourne and surrounds with the highest quality toughened glass. All of our work adheres to Australian Building Codes. Custom designed frameless glass windbreaks are great, attractive and minimally invasive solution for keeping your outdoor area safe & free from gusts of wind and dirt. Our toughened safety frameless glass is of the highest quality and is guaranteed to last. We have all products in stock in our local Melbourne warehouse, ready to complete your job quickly and efficiently. Our frameless glass privacy screens are the perfect private solution for your balcony or entertainment area. In Victoria, there are strict compliance laws in relation to balconies overlooking neighboring properties. In some instances you may be required to install a privacy screen by law. Luckily, our unique, etched glass looks modern and lets through plenty of natural light. 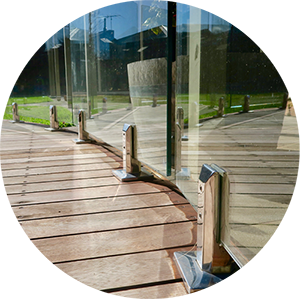 We offer superior quality frameless glass fencing products that add a luxurious feel to any space. Zero Edge design, supply and install frameless glass pool fencing, custom glass fence installation, glass fence repair and much more! direct from our Melbourne warehouse. Thanks to our long standing experience, we have cemented trust around Melbourne as premium glass fence suppliers. All of our quality products come with a 10 year installation and manufacturer warranty. We have over 20 years of industry experience, with a fully qualified glazier on our team. Zero Edge works closely with our manufacturers to bring you the best quality glass fence at a competitive price. Zero Edge strives to bring you a smooth, easy process – From start to finish! We provide a range of services to ensure sure that you are completely satisfied with your beautiful new glass fence installation from Zero Edge. Talk to one of our experienced and creative designers to help you design the perfect solution for your unique project. Zero Edge only sources the highest quality products on the market and adheres to all the required building codes. We provide unparalleled frameless glass installation services with a professional and friendly attitude. Do you have a glass fence that needs some attention? We provide a range of glass maintenance services. We specialise in cheap pool fencing in Melbourne. All materials used by Zero Edge are of the highest quality, exclusively sourced by us, using our trusted manufacturers. We comply with all necessary regulations and pride ourselves on the quality of our work, with a “no shortcut” mentality. Could not be any happier with my new glass fence! My pool area looks amazing and can't wait to show my friends and family. Highly recommended! Thanks Zero Edge for our new glass fence. Now we are ready for summer times with the recent grand kids. Highly recommended service to anyone who needs a quality glass fencing product/service. Family owned business, good advice, good service, good price, great people! We shopped around for several quotes. We made the decision to go with Zero Edge, a family run business after having personally met with Brad. We are extremely happy with our pool fence. The finished product is better than we expected and were particularly impressed with the installation which was done with care and precision. The team at Zero Edge were awesome. I love a good family business where everyone takes pride in their work. The whole process was quick, easy, and great value. Brad and Justin worked in with our other tradies, they were polite, chatted with our kids and cleaned up after themselves. Highly recommended. The team at Zero Edge in my opinion, are of 5 stars. They honered every promise made to me, and delivered the product and installation right on time. The final pool fence inspection passed by the surveyors took less than 5 minutes to sign off. All this is due to the excellence and highest quality of Zero Edge service. I have no hesitation in recommending their services.